The battle to replace city council leader Sir Albert Bore is now officially under way with his deputy being the first to formally launch a campaign. 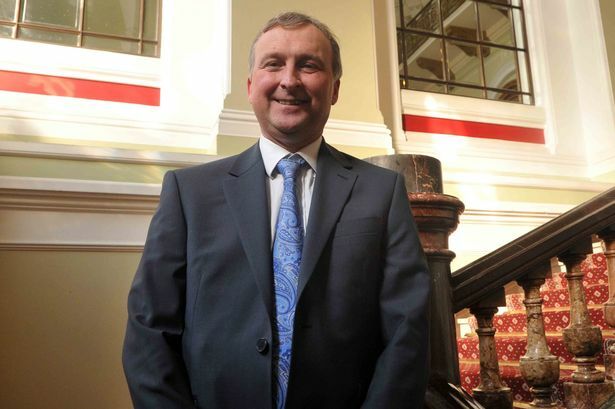 But deputy council leader Ian Ward is not putting out a manifesto of policies - instead he is offering backbenchers the chance to collaborate on policy. The move is designed to set him apart from Sir Albert who was often accused of being too dictatorial and micro-managing the Labour group during his 16 years in charge. Coun Ward has been Sir Albert&apos;s deputy for much of the last decade but clearly feels the need to distance himself from the leader who agreed to step down last week following criticism from a government improvement panel and the resignations of two senior colleagues. The runners and riders - who is in line to lead Birmingham City Council? In a statement to the 78 Labour councillors who will take part in the vote on November 23, he said: "I am not issuing a manifesto because, although I have firm views, it is for the group and wider Birmingham Labour Party to develop our manifesto, not one individual. "The relationship between the cabinet and the group must change significantly so that there is a more collegiate approach. "We need to utilise all of the talents that exist within the group to address the challenges I have highlighted in my press statement." His main rival for the post, Quinton councillor John Clancy, will launch his campaign tomorrow. Two more councillors - health scrutiny chairman Majid Mahmood and former Lord Mayor Shafique Shah - have also indicated they are to stand.